L'AVENIDA Multipurpose Center is a state-of-the-art facility located in Lekki direct access to the Lekki-Epe Expressway. 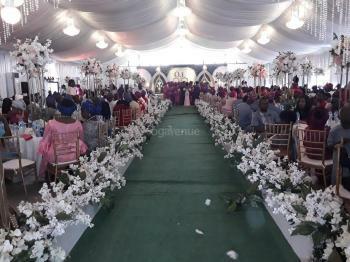 Our vision is to be the event center of choice on the Lekki Peninsula, acclaimed for providing affordable world-class event hosting services. Our fully air-conditioned facility comfortably accommodates 800 guests when arranged for banquet seating and 1,350 for theatre seating arrangement. L'AVENIDA Multipurpose Center is equipped to host all event types and our expansive car park affords your guest's hassle-free vehicular access. 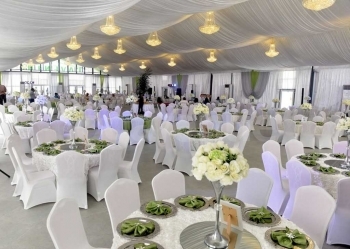 Whether youre planning a wedding, birthday party, seminar, training event, team-building session, religious activity, trade show, award ceremony, or an AGM, L'AVENIDA Multipurpose Center can be transformed to meet your specific need. Why settle for the ordinary when the exceptional awaits you and is well within reach? Go ahead and make reservations with us for your next function and you are guaranteed an extraordinary experience that will draw endless compliments from your guests! Fully fitted with high-end Bose speaker systems, L'AVENIDA is a sound connoisseurs delight! Call us today or simply stop by and you will be truly amazed!! L'AVENIDA Simply Elegant! Q: What type of chairs does L'AVENIDA Multipurpose Center provide? Q: What type of tables does L'AVENIDA Multipurpose Center Provide? Q: Is there parking space at L'AVENIDA Multipurpose Center? Q: Does L'AVENIDA Multipurpose Center provide power? Q: Does L'AVENIDA Multipurpose Center have Restrooms? Q: Does L'AVENIDA Multipurpose Center have Changing room? Q: Does L'AVENIDA Multipurpose Center allow external Decorator? Q: Does L'AVENIDA Multipurpose Center have Chandelier? Q: Does L'AVENIDA Multipurpose Center have Drappings? Q: What type of flooring does L'AVENIDA Multipurpose Center have? Q: Does L'AVENIDA Multipurpose Center allow you bring in your food and drink? Q: Does L'AVENIDA Multipurpose Center provide security? There are no reviews for L'AVENIDA Multipurpose Center yet. Sorry, not available at L'AVENIDA Multipurpose Center. 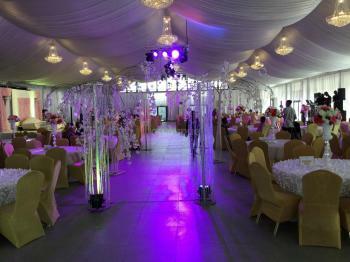 Kindly check out other available dates or check out other venues in Lekki that match your requirements.